Incredibly bright two bedroom plus den end unit condo at popular “Ennisclare on the Lake”, just steps from downtown Bronte. The “Cedarbrae” model offers 1681 square feet of living space plus a generous balcony with lake views and a front row seat to the Toronto skyline! This rare unit is contained over one level - no steps! 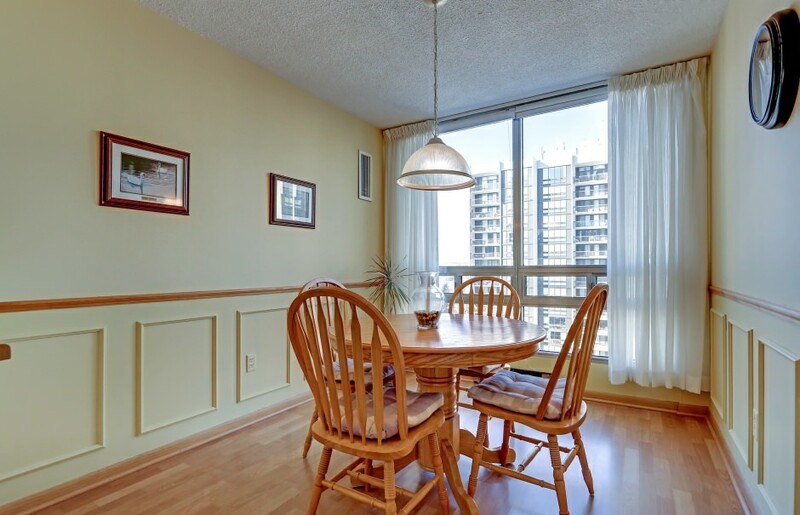 Enter the spacious foyer with a large double coat closet and sightlines to the walkout balcony. The foyer opens to the open concept living and dining room, which are flooded with natural light. Off the living area, double sliding glass doors walk out to the balcony and offer gorgeous views of the lake and the iconic Toronto skyline. The dining space is delineated by an oversized bay window and central chandelier. A deceivingly spacious den is tucked away, offering views of the Toronto skyline through a massive corner window, and ample space to be used as a full third bedroom. The bright eat-in kitchen, conveniently accessed by the dining room and main hall, offers a large, separate breakfast area and ample cabinetry with updated hardware. The master retreat is privately located on the south side of the unit, with walk out to the balcony. A triple closet and additional double closet provide for ample storage. The built in vanity with double wall sconces and oversized mirror is located next to the separate water closet with tub/shower combo. 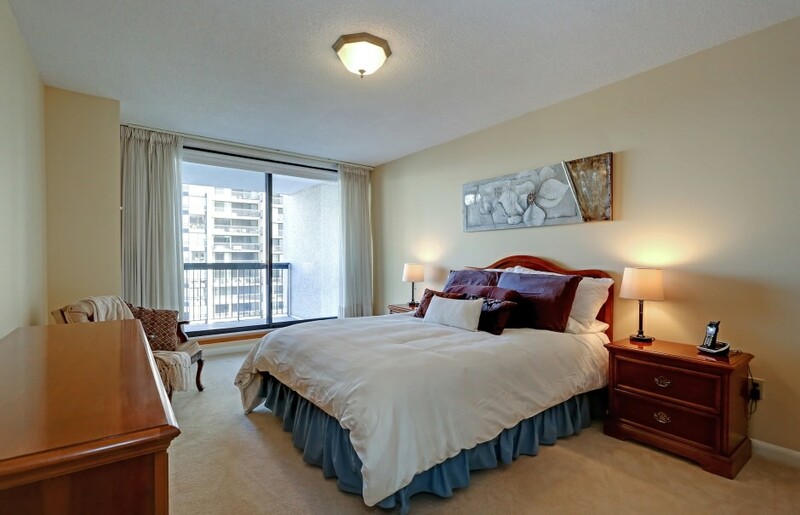 The second bedroom, located on the north side of the unit, offers two double closets and a large window. The main four-piece bath is well situated between the second bedroom and foyer. In-suite laundry and storage room complete the unit. There are also two parking spaces! These immaculately maintained buildings offer 24 hour security and “The Club”, boasting an extensive range of activities and amenities, including an indoor pool, sauna, party room, theatre room, golf practice area, exercise rooms, woodworking room, library and more. A car wash bay is conveniently located in the underground parking garage. Take a yoga class, art class, or join for coffee hour. Master “lifestyle living” as a resident of coveted Ennisclare!